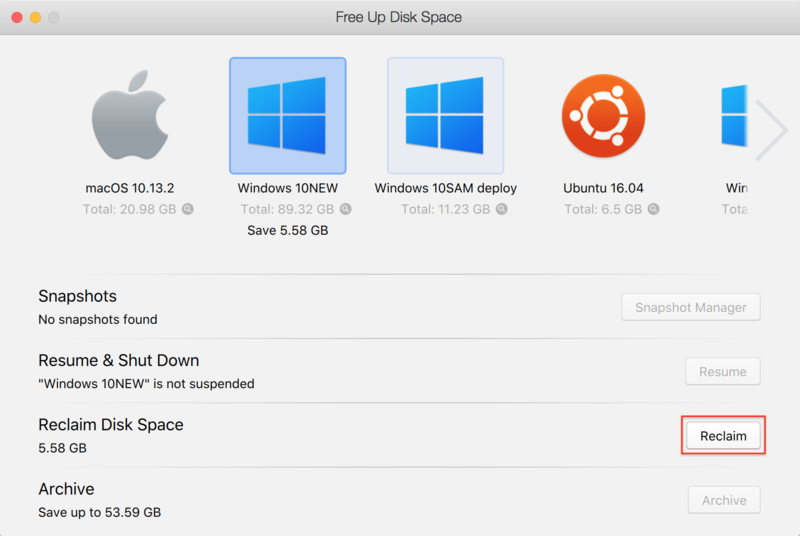 How much disk space my virtual machine takes on my Mac? How do I stop my virtual machine size from expanding? I am running out of a disk space on my Mac, and I want to make sure that my virtual machine doesn't occupy it all. My Mac performance is affected due to low disk space. My virtual machine takes a lot of disk space on my Mac, and I want to make shrink it. 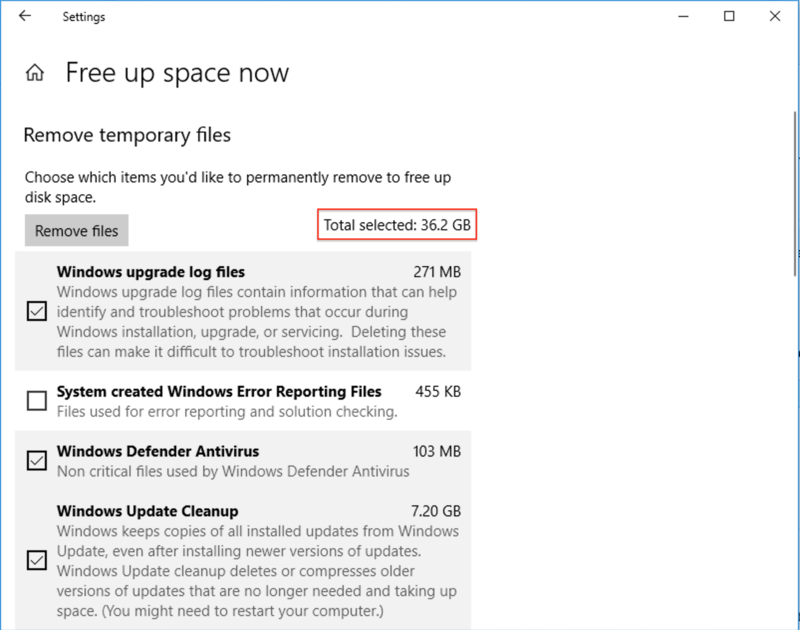 Look through the files in Documents section (it includes Downloads folder as well) and delete large files that you no longer need, make sure to empty the Trash. 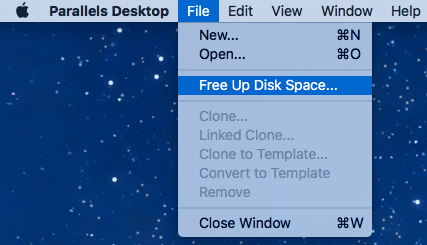 If you want to reduce size of your virtual machine(s), click on Parallels VMs > Free Up Disk Space. 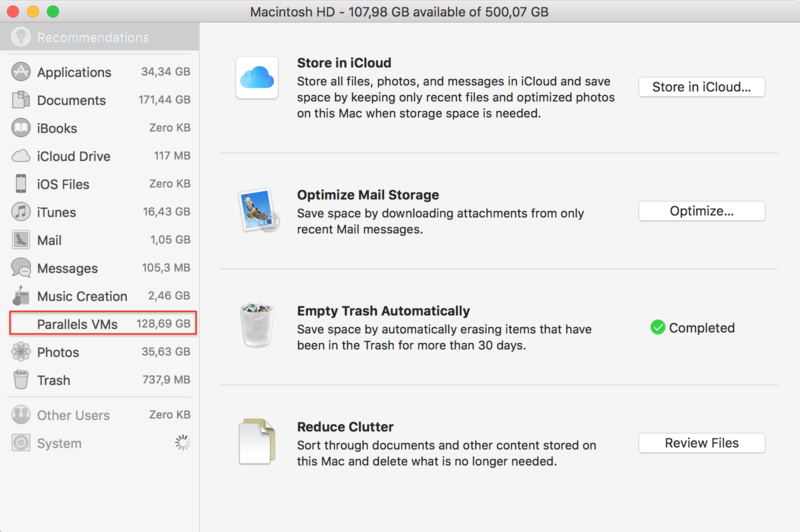 Note: see this article to learn more how to clear cache from Mac. Wait for scan to complete, scroll down to review files that take plenty of space. 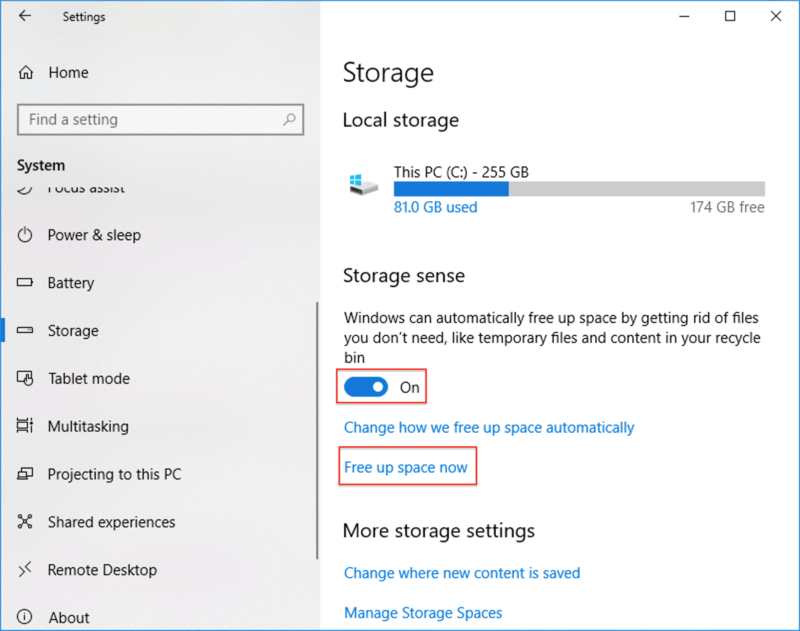 For example, previous Windows installation takes up to 27.5GB of disk space in my case. Note: You may also use a 3rd-party tools that help identifying large files that you no longer need, like Scanner. If your virtual machine has snapshots open Snapshot Manager and remove the once you no longer need. In most of situations this will also reduce virtual machine size. Note: If you have many branches of snapshots, deleting one of the parent snapshots may cause the virtual disk size increase.